These need to be consistent across all the sites which cite your local business information. This is your NAP. Your NAP in SEO is a key optimization point. These pieces of information give search engines clues about your organization. Search engines are able to associate directory or information listings (think of public social media profiles, yellow pages, the local chamber of commerce) with your organization by way of the NAP displayed on your organization's website. Be sure that your NAP matches precisely across all venues. If there's an inconsistency, like an abbreviated street name (Main St. or Main Street) or inconsistent business label (Big Co. or Big Company), the link value may degrade and be spread across multiple listings. It's especially important that your NAP is posted on your own web presence (website, social media, etc). Name, address, and phone numbers are an important ranking factor used by search engines to determine a page's validity and therefore rank. This can come in pieces, too; name and address can still be associated without a phone number. Your organization's phone number showing up within a press release can still be associated with your organization even without a business name or address. Consider how pieces of your NAP might appear around the web and remember they can wind up associated with your organization even individually. NAP in SEO has been a valuable ranking factor for a long time. With location-aware devices ever more prevalent, geotagged content is adding another factor to your NAP in SEO. 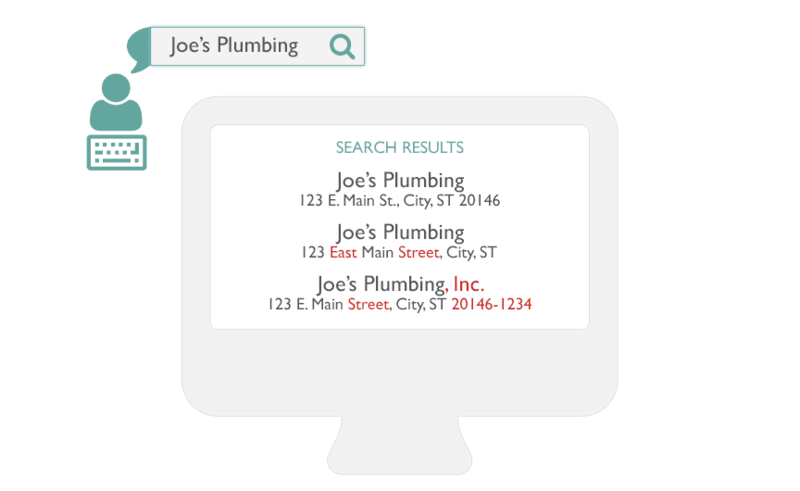 Your organization's geolocation coordinates can be used to tie pages to your organization. Facebook, Twitter, and several other social media networks collect geolocation information when entries are created. This can be made public with the entry. This leads to another possibility of information being associated with your organization through your NAP by way of geolocation. Consider using this to your advantage by geotagging YouTube videos and adding geolocation data to location-aware posting services. Does your organization not yet have a clear NAP and local search presence?